Journal of University Research is a peer-reviewed international scientific research journal which is published triannually. It is published in April, August and December. All articles may be written in Turkish or English. The journal is directed mainly to the concept of a university and so higher education area. 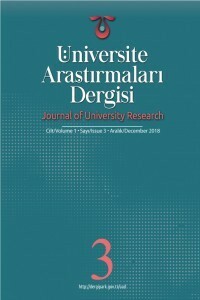 The aims of this journal are to contribute to university culture and to provide research studies for the use of all stakeholders in higher education. All original and innovative, scientific research articles, previously unpublished anywhere, will be accepted. Journal of University Research does not charge a submission fee. Submission to this journal proceeds totally online and also you can track the status of your submitted paper via our web interface. Detailed instructions about manuscript preparation can be found on the journal website. How to Improve the Science and Engineering Education in Islamic Countries?